In this case, it functions as a test piece positioning system, assuring a repetitive trajectory of the test piece, and provides the operator with the evaluation of the transit speed. 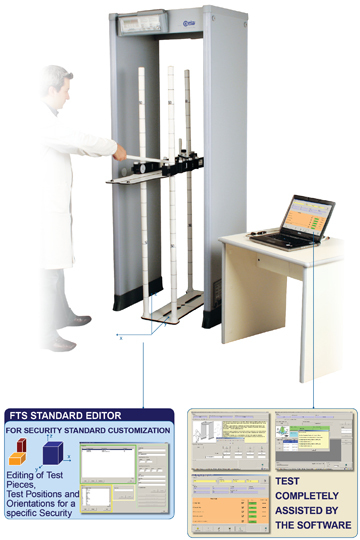 This manual describes only the use of the Field Tester as a stand-alone system. 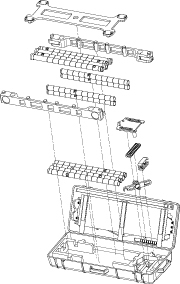 The system is based on an adjustable test piece support (Field Tester) fitted with sensors for the acquisition of the test piece position and a control unit that transmits the processed data to an external Personal Computer. The system is powered directly by the Personal Computer.